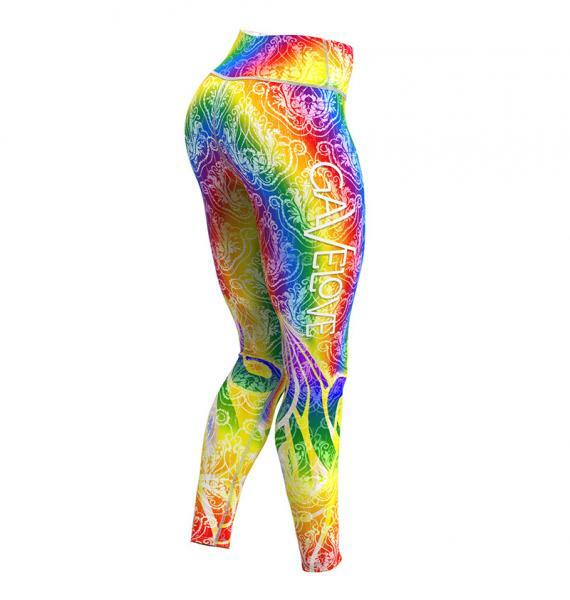 Gavelo Comfort leggings in an incredibly beautiful and very stretchy fabric. The waist is high and goes down in a V-shape in the back, with a slight and flattering scrunch. Pacific Breeze pants are designed to develop your forms. Blue fabric in a soft stretch of polyamide / spandex with panels of white fabric, made mostly of recycled polyester. White seams to accentuate your feminine shapes and Gavelo logo in blue on the right calf. A blue V for Victory in the back, Gavelo logo in blue in front on the white waistband. Incredibly nice model that is perfect for yoga or group training, or why not as lounge pants?